Our customers (“Customers”) create accounts on our services, providing their contact information, personal size information, style preferences, and billing and shipping information in order to purchase clothing. Content and data on some of our Services is also viewable to visitors that have not created accounts or made any purchases (“Visitors”). Size Information and Style Preferences To purchase clothing it is necessary to provide size preference or other size related information. For custom shirts or custom tailored clothing you have the option to provide precise dimension information. You also have the option to provide personal information about your background and body (for example, your height, weight and ethnicity) as part of our Smart Sizes custom fit creator. You don’t have to provide all of this information, but it can help us to provide you better fitting clothing and a better experience. You also have the option to provide style preference information. Style preference information may be derived from a customer’s purchase history, wishlist and favorites, or explicit inputting of preferences. Billing and Shipping Information To make a purchase you will need to provide a full name, address, and payment (e.g., credit card) and billing information. Your Friends’ Information As part of our invite-a-friend program, you have the option to enter your friends’ email addresses to send an invitation to them and potentially earn referral credit. We log usage data when you visit or otherwise use our site. We use log-ins, cookies, device information and internet protocol (“IP”) addresses to identify you and log your use. If you choose to contact us through email or chat, your emails and chat history may be stored for future reference. When you visit or leave our site, we receive the URL of both the site you came from and the one you go to next. We also get information about your IP address, proxy server, operating system, web browser and add-ons, device identifier and features, and/or ISP or your mobile carrier. If you use our site from a mobile device, that device will send us data about your location based on your phone settings. How we use your personal data will depend on which information you provide and which products you purchase. We use the data that we have about you to provide and personalize our products and Service for you, as well as to improve our products and Services for all Customers and Visitors. Authorizing Access We use your data to authorize access to our Services. Custom Clothing Size Creation and Optimization Our Services allow you to create and modify custom shirt and tailored clothing sizes. We will use the data you provide to help generate accurate custom shirt and tailored clothing sizes for you. 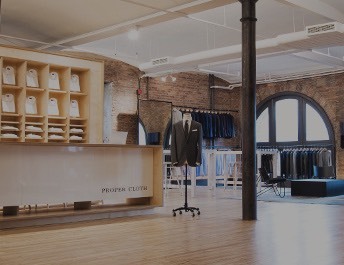 Purchase Clothing and Other Products Our services allow you to purchase clothing and other products, including custom fit shirts and tailored clothing. For example, we may use your order data to produce your purchased products and deliver them to you. We will use your contact information to contact you through email and phone, and other ways through our Services. Service Messages We will send messages about your outstanding orders, including order confirmation emails, order status updates and shipping information. We will also send back-in-stock email notifications for products that you have specifically opted-in to be notified about. Please be aware that you cannot opt-out of receiving service messages from us, including security and legal notices. Marketing Messages We will send various marketing messages to your email. These messages may notify you about new products that have come available, new site features we have added, or new content we have added to the site. You may change your marketing email preferences at any time by clicking unsubscribe in the footer of any marketing email. Info to Ad Providers We do not share your personal data with any third-party advertisers or ad networks for their advertising except for: (i) hashed or device identifiers (to the extent they are personal data in some countries); (ii) with your separate permission (e.g., lead generation form) or (iii) data already visible to any users of the Services (e.g. profile). If you view or click on an ad on or off our site, the ad provider will get a signal that someone visited the page that displayed the ad, and they may through the use of mechanisms such as cookies determine it is you. Advertising partners can associate personal data collected by the advertiser directly from you with our cookies and similar technologies. We use your data to conduct research and further improve our products and Services. For example, we use your saved custom sizes, order history and feedback to improve our size algorithms and thus provide better size predictions for other customers. We also use your feedback on fabrics and products to inform our product development and improve our designs. We use your data (which can include your communications) to investigate, respond to and resolve complaints and Service issues. We use your data to produce and share aggregated insights that do not identify you. For example we may use your data to generate statistics about our Visitors or Customers, or to calculate ad impressions served or clicked on. 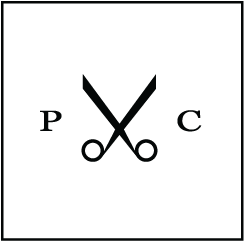 With your consent, your feedback on products and our service will be made visible to visitors to propercloth.com. Your feedback will typically be identified with your First Name, Last Initial, and the City and State from your shipping address. Depending on your feedback, this may be seen as an endorsement of our products. In some cases your feedback may be used for advertising and marketing purposes as part of marketing emails or other forms of advertisement. It is possible that we will need to disclose information about you when required by law, subpoena, or other legal process or if we have a good faith belief that disclosure is reasonably necessary to (1) investigate, prevent, or take action regarding suspected or actual illegal activities or to assist government enforcement agencies; (2) enforce our agreements with you, (3) investigate and defend ourselves against any third-party claims or allegations, (4) protect the security or integrity of our Service (such as by sharing with companies facing similar threats); or (5) exercise or protect the rights and safety of Proper Cloth, our Customers, personnel, or others. We attempt to notify Customers about legal demands for their personal data when appropriate in our judgment, unless prohibited by law or court order or when the request is an emergency. We may dispute such demands when we believe, in our discretion, that the requests are overbroad, vague or lack proper authority, but we do not promise to challenge every demand. If for any reason you are concerned that your personal information is not correct, please visit our site and, after logging in, visit the "Account Details" section. Only you or, upon your request, our customer service team, may access your personal data from the website using your email and password. Information may be changed or removed within Account Details, Saved Shirt Sizes, Style Profiles, Addresses, and Payment Methods. If you prefer, you may contact us and we will amend your personal details. We process data both inside and outside of the United States and rely on legally-provided mechanisms to lawfully transfer data across borders. Countries where we process data may have laws which are different, and potentially not as protective, as the laws of your own country. If you have any questions about the lawful bases upon which we collect and use your personal data, please contact us. If you have questions or complaints regarding this Policy, please first contact us online or by physical mail.